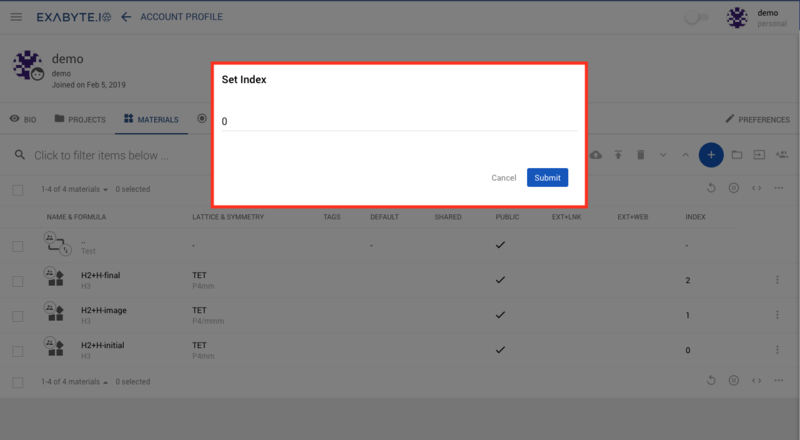 In order to change the order of entities inside an ordered set, navigate to the set first and then use Set Index option in the actions drop-down menu. The user is presented with the following dialog to set a new index. If the new index is already assigned to another entity in the set, the indices will be swapped. In the animation below, we show how to swap the indices of entities inside an ordered set.